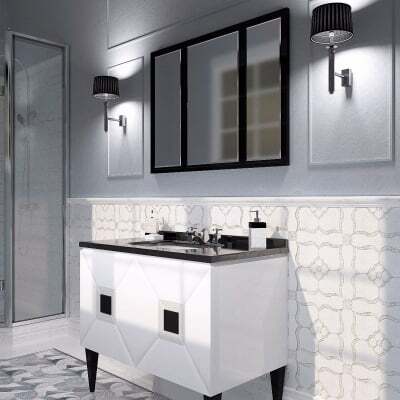 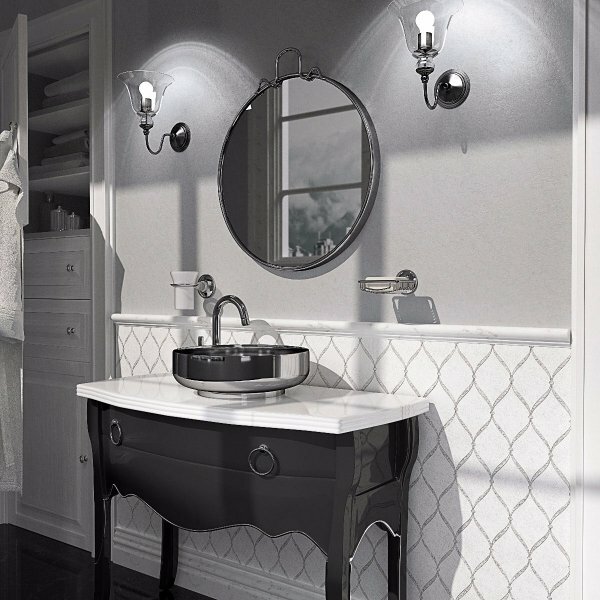 Pearl Breeze Thassos White Marble and Shell Waterjet Mosaic Tile is a characteristic Marble Shell, Natural Stone combination of White color(s), Irregular shape, and Iridescent, Polished finish(s). 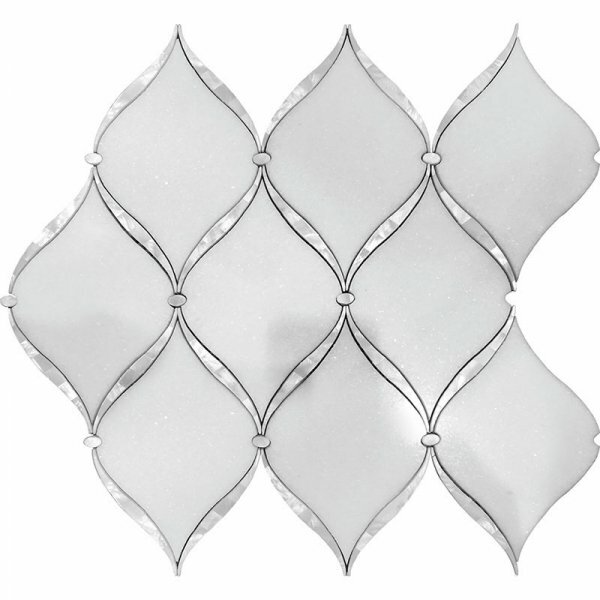 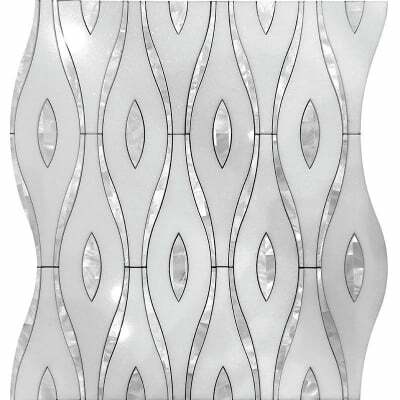 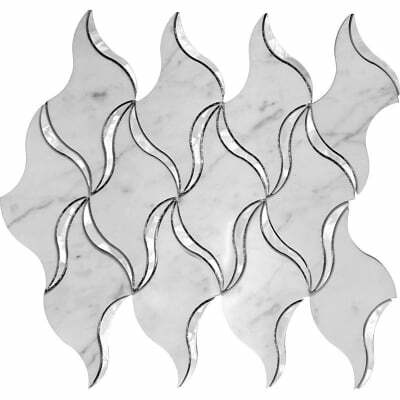 Pearl Breeze Thassos White Marble and Shell Waterjet Mosaic Tile is a characteristic Marble Shell, Natural Stone combination of White color(s), Irregular shape, and Iridescent, Polished finish(s).. Material can be used for Kitchen Wall / Backsplash, Bathroom Floor, Bathroom Wall, Shower Wall, Shower Pan, Living Spaces Wall, Commercial Wall projects. 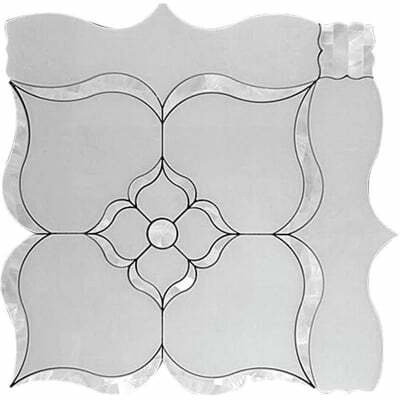 Each piece sold as 11.2" x 12.9" Sheet and covers 1.00 Sqft.